Hazards present in the work site, to protect your workforce and other site users you need to keep them away from moving parts or other hazards. Hazards present in the worksite, to protect your workforce and other site users you need to keep them away from moving parts or other hazards. 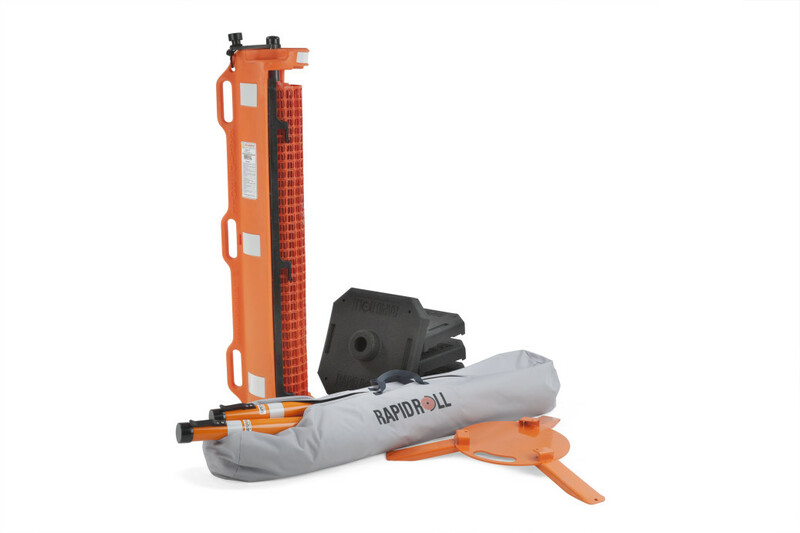 The risks need to be mitigated to as low as reasonable practicable, this is why you need components that prevents and controls workers passage into a dangerous or hazardous area, this is particularly important at unattended worksites. CableSafe’s provides safety equipment that can protect you, your workers and the people on site from any harm or danger. “Fast deployable net barrier” is a piece of equipment for temporarily fencing, it can be easily set up by rolling the fence around a rapid post and clicking the net on the clips. The system comes with a container which holds the fence. Fast deployable net barrier, is made of strong material and can be carried by a single worker. Use CableSafe’s “Fast deployable net barrier” to physically separate your work area and workers from other workers. 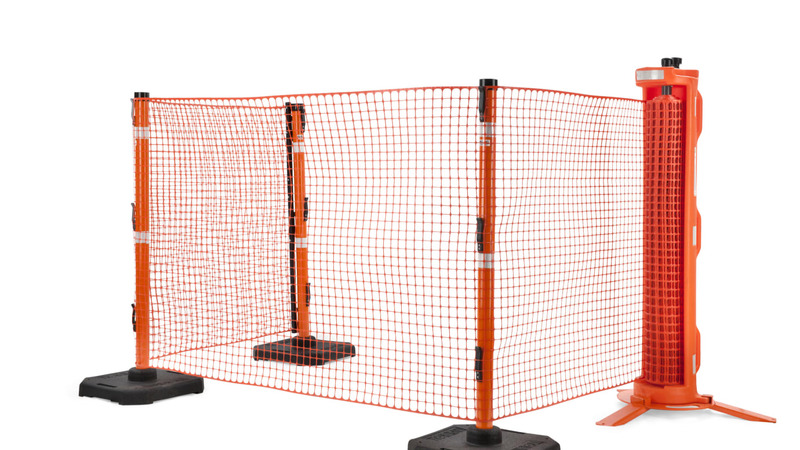 This particular fencing/net barrier is efficient, fit for purpose, reusable, portable, safe, and available in high visibility bright orange color. It can also be clipped or joined together to form a continuous fence, which can be used to enclose any hazards surrounding a targeted work sites, construction zones, hazardous areas or even use for crowd control. Safety is good business, providing a safe working environment isn’t just a good idea, it’s the law, CableSafe’s “Fast deployable net barrier” will help you meet any safety standard and regulations. Our safety net barrier can support a wide variety of industries including, but not limited to, construction, maintenance, industrial and utility work. With CableSafe’s “Fast deployable net barrier” the safety of your workers and worksite is assured. We offer standard off-the-shelf safety netting systems as well as customized solutions to meet your specific jobsite requirements. Organize cables with CableSafe® safety products like the Safety hook, cable guards and other products. Cable management safety products improve good housekeeping.